How Many Actors Can You Spot? This scene was particularly interesting for production to shoot because it brought a lot of the main cast together. 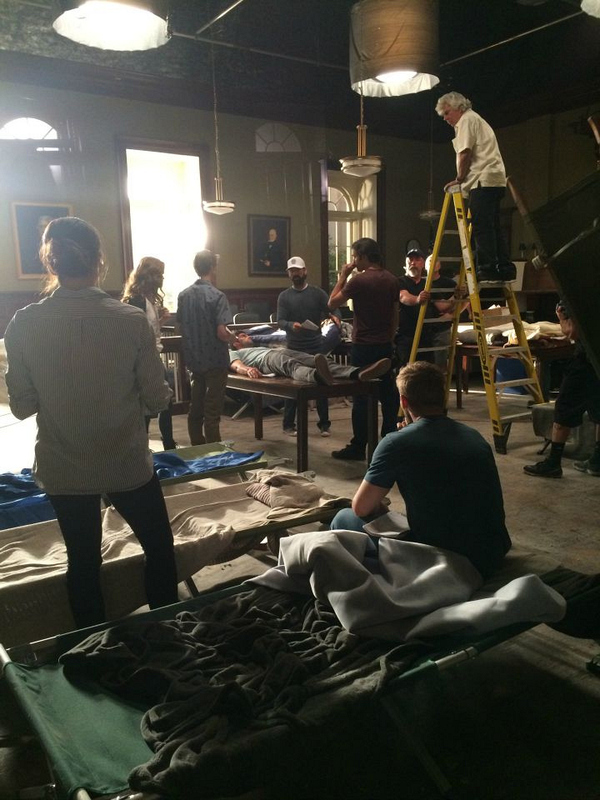 With Hunter (Max Ehrich) injured on the table, Joe (Colin Ford) and Norrie (Mackenzie Lintz) being blamed by Junior (Alex Koch), and Barbie (Mike Vogel) trying to figure out what to do, there were a lot of different beats to work out. Writer Bronwyn Garrity stood by while Director David Barrett and DP Walt Lloyd explained their plan to the set full of stars.